Black Mesa Brewery is a rising star in the Oklahoma craft beer scene. 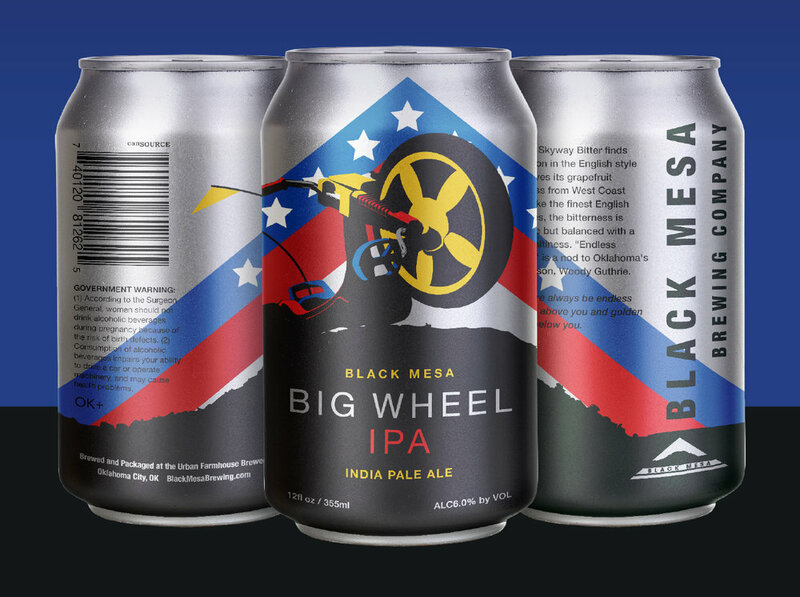 Named after the Black Mesa region in the Northwest corner of the state, they wanted to feature the mesa as a prominent piece of their brand. To that end, we created a visual language for the cans that built upon the mesa in a consistent manner that utilized it as the foundation of each piece. A repetition of the triangles to create a horizon references the shape of their primary logo and again reinforces the brand.